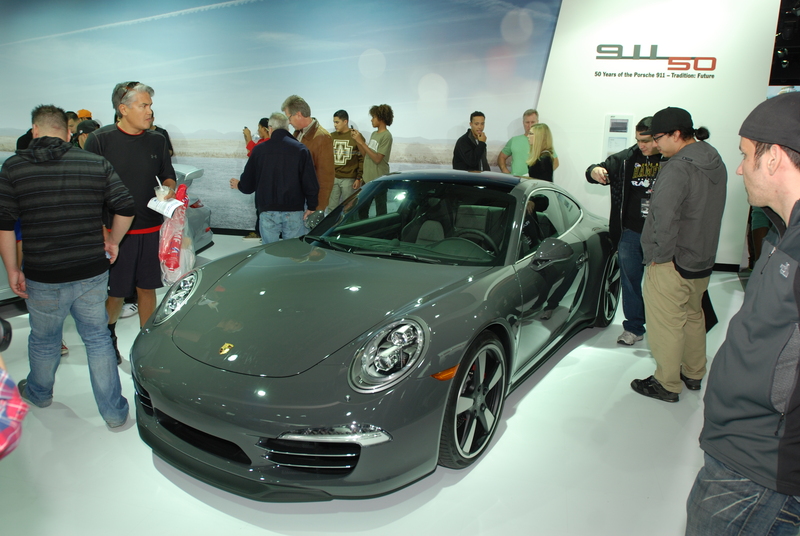 Let me begin this post by noting that our trip to this years LA Auto Show 2013 came very close to not occurring at all. In the past, we have always arrived on opening day, just prior to the doors opening, and as a result have never had a problem with parking. However, this year we were unable to arrive until after 1 PM. So imagine my dismay, after circling the convention center for close to 40 minutes, trying to find parking, moving from lot to lot, waiting in line only to have the lot close down three cars in front of us. The few remaining lots that were open, ironically right across the street from the convention center, were charging $40.00 to park. Finally, my son and his girlfriend came to the rescue, and after a brief cell call, we drove several miles south from the Convention Center, where we met up with them at a parking structure, paid our $10.00 fee, phoned the service “Uber”, and got a ride back up to the convention center. By 2 PM, the four of us finally arrived and entered the show amid a crush of like-minded people. Attendance at this years show took on extra meaning, since both my wife and son had come with the intent of shopping for a new car. 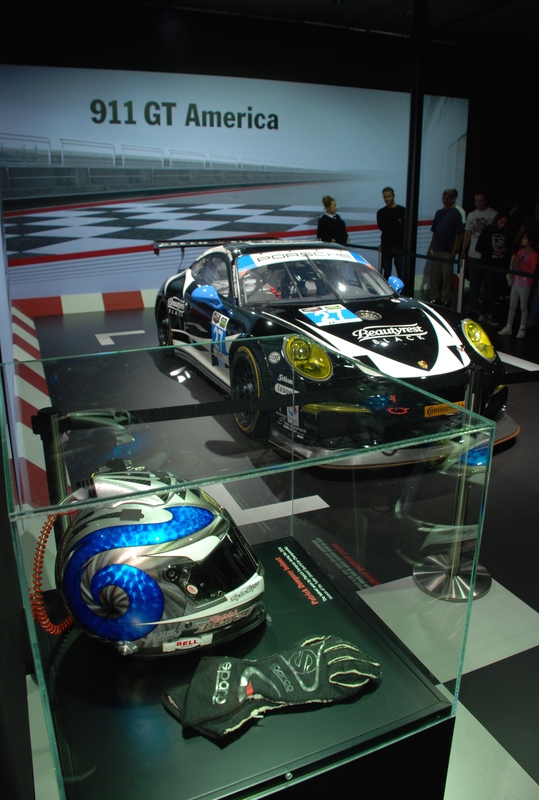 In the past, our show strategy has always been to start by visiting the West Hall and the Petree Hall / Porsche exhibit first, and from there we would explore the remaining exhibit halls. 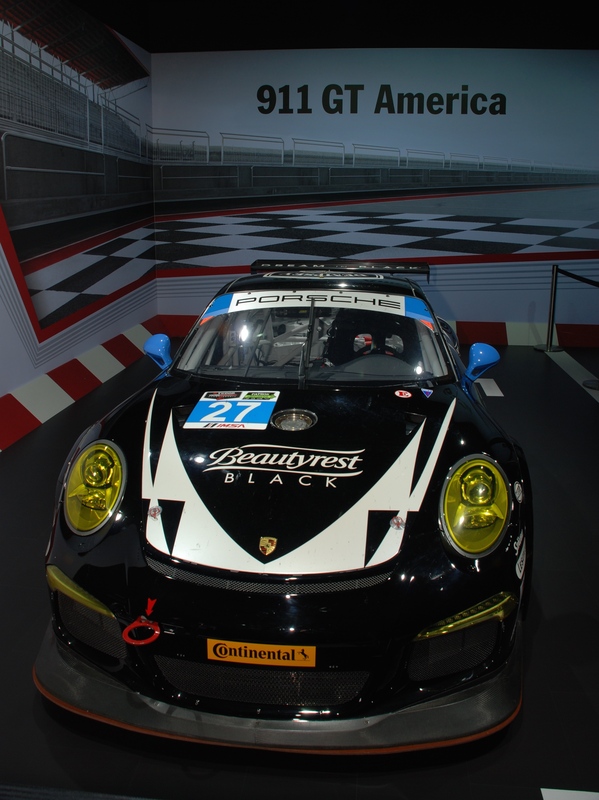 However, this year we started the process in reverse, by beginning our visit at the South Hall and concluding our visit at Petree Hall, with the Porsche exhibit saved for last. 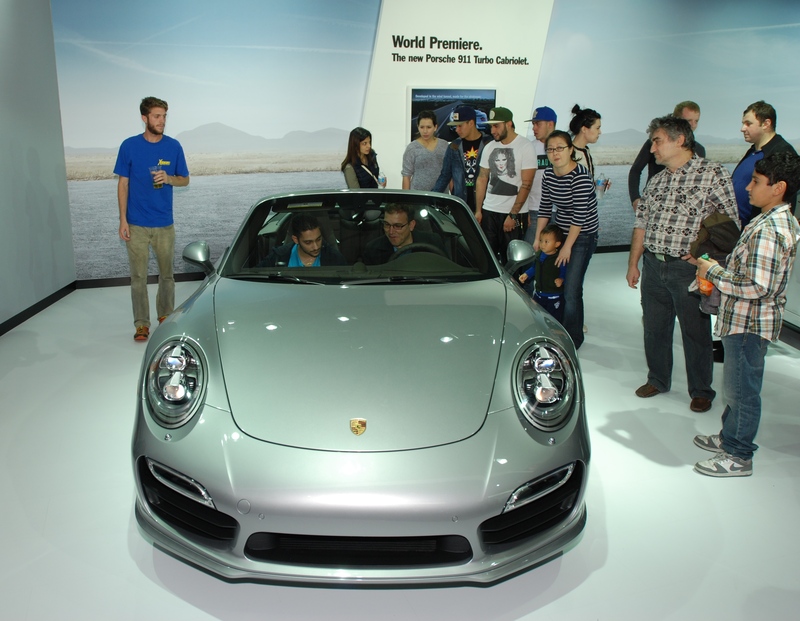 Prior to this years LA Auto Show, Porsche let it be known within the Southern California Porsche community that they were looking for a 1989 Porsche 930 Turbo cabriolet, for inclusion into this years 2013 Porsche at Petree Hall display. 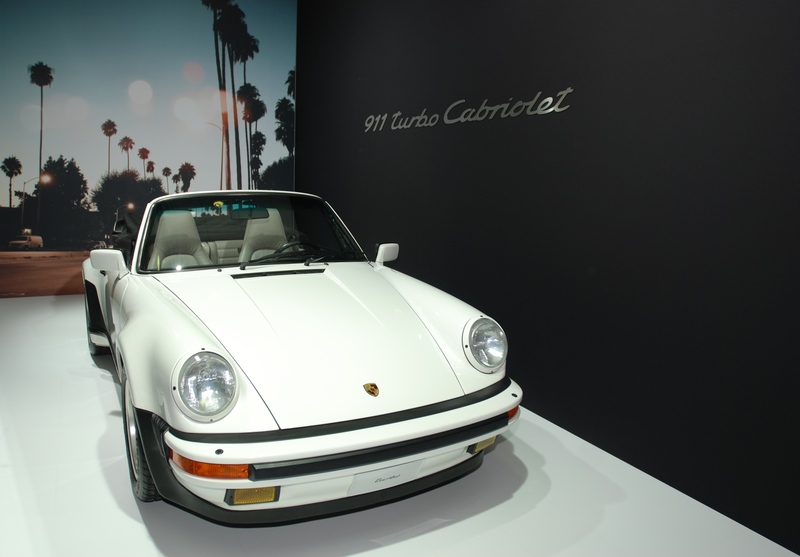 Obviously, they were successful in their quest, as witnessed by the Grand Prix white 1989 911 Turbo Cabriolet on display just outside of the main entrance into the Porsche exhibit (as seen below). 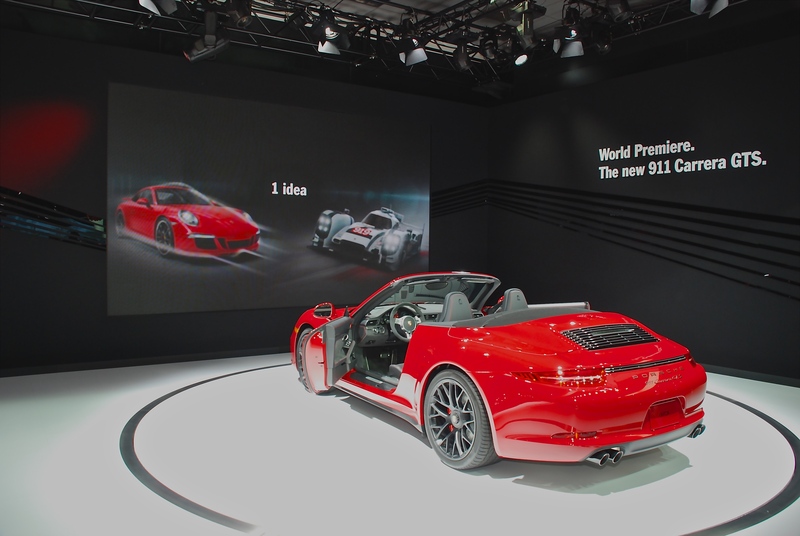 Once inside, the intent of this 911 Turbo Cabriolet display made perfect sense. 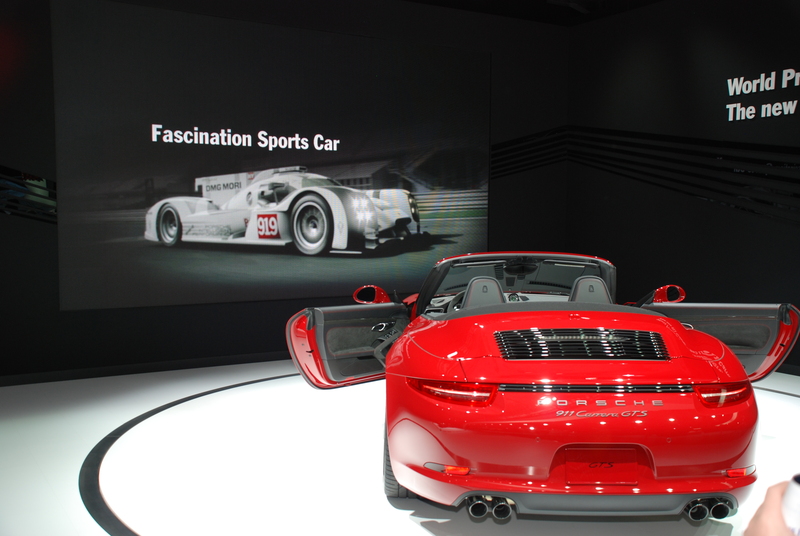 Parked just inside and to the immediate left of the entrance was the first of several debuts as seen below; in this case the world premier of Porsches new 911 Turbo Cabriolet for 2014. 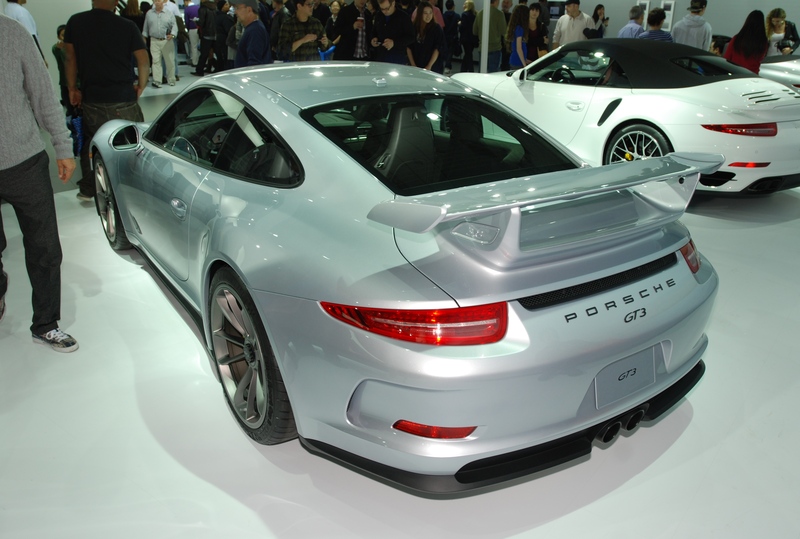 And parked to its immediate right, another model also made its world debut: a white 911 Turbo S Cabriolet, flanked by the silver, 2014 Porsche 991 GT3 coupe (as seen below). 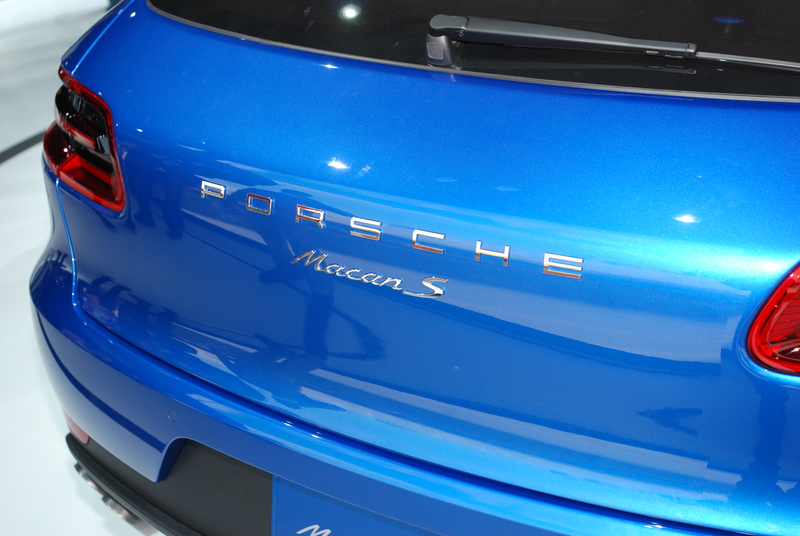 However, as you can probably tell, my attention was fixed more on one of my favorite Porsche models. 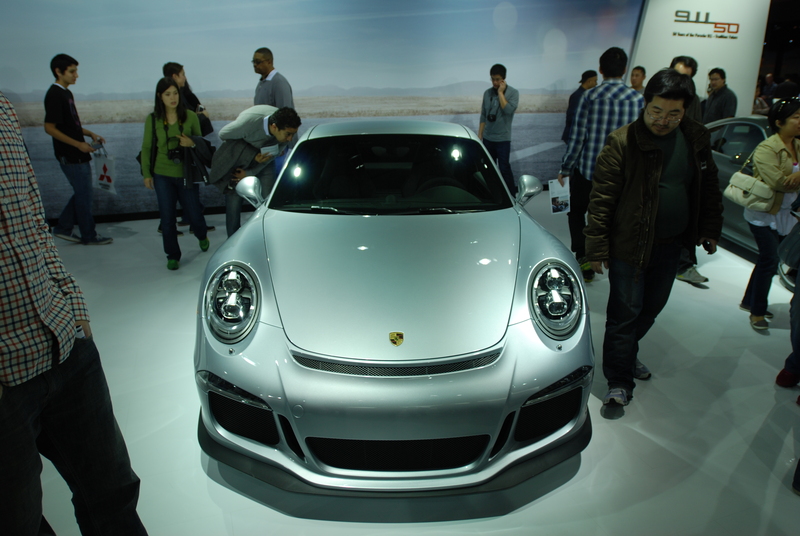 I was finally face to face with the new, 2014 type 991 Porsche GT3. 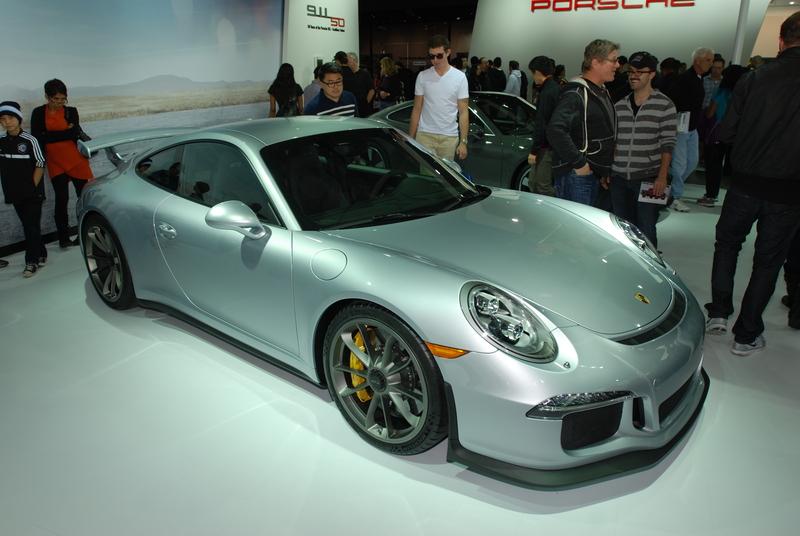 The photos that I’d seen in magazines of the new GT3 just didn’t do the car justice. 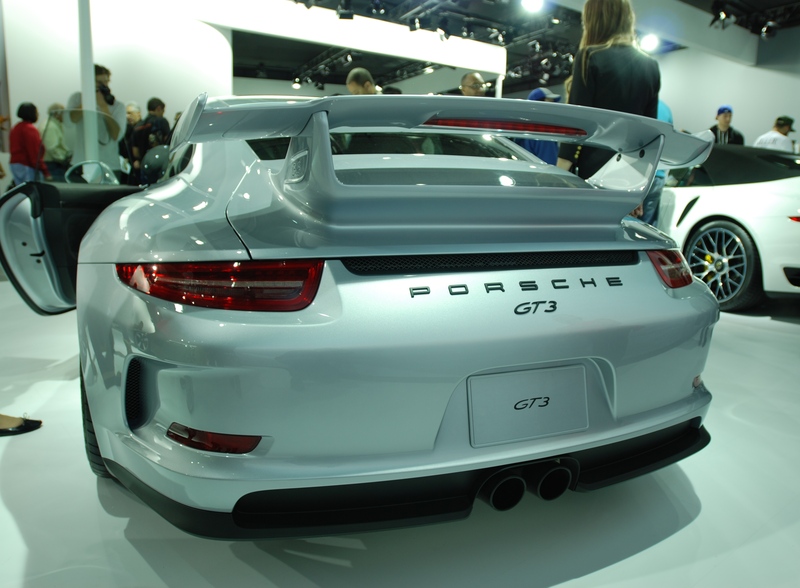 However, seeing it in person made a greater impression, as it definitely exudes the “race car for the street” vibe, confirming impressions made and written about by those fortunate enough to have driven the brand new 2014 GT3. An up-close look at the GT3’s new for 2014 wheel and tire combo;12J X 20 rear forged alloy center-lock wheel, clad in the newly created 305/30ZR20 Michelin Pilot Sport Cup 2 tire (as seen below). 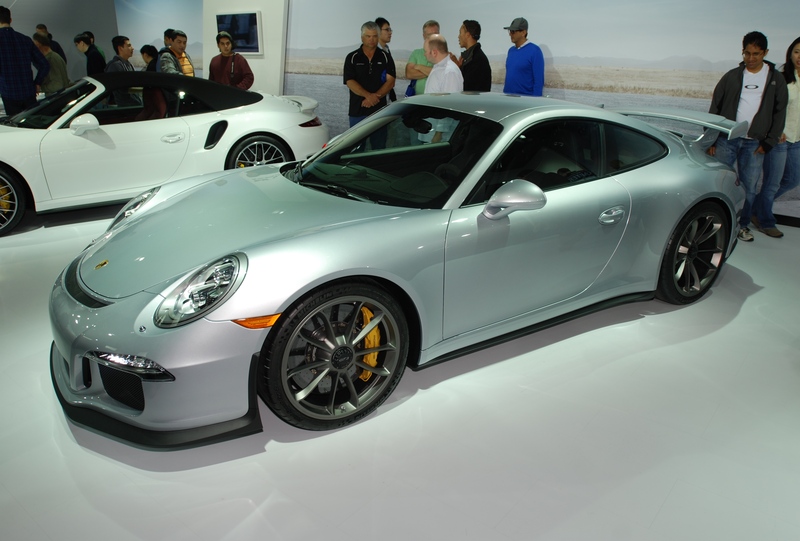 This particular GT3 has also been optioned with Porsches top of the line PCCB (“Porsche Ceramic Composite Brake”) system. 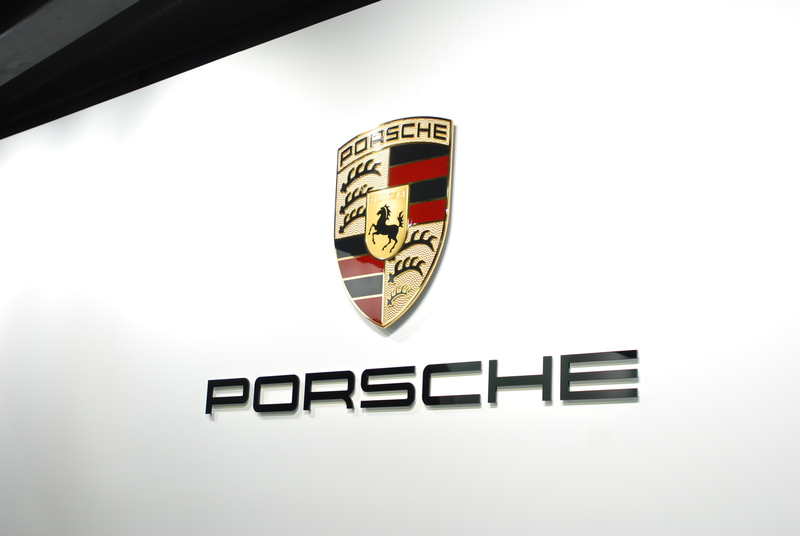 Porsche has long used color to visually distinguish the difference between their high performance brake packages. 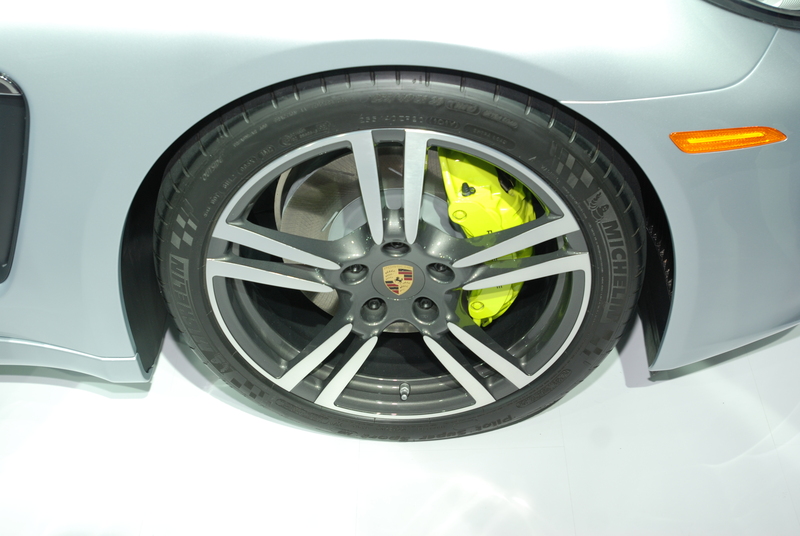 In the case of the ultra high performance / race track focused PCCB brake option, the calipers are painted bright yellow, and matched to their cross drilled, carbon ceramic rotors. 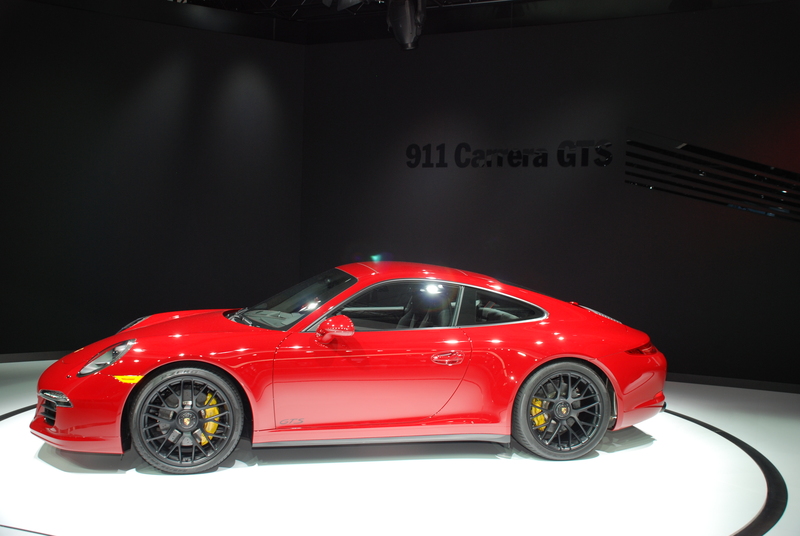 The standard (stock) GT3 brake package consists of red calipers, matched with cross drilled steel rotors which appear to be better suited for cars not destined to see track days. 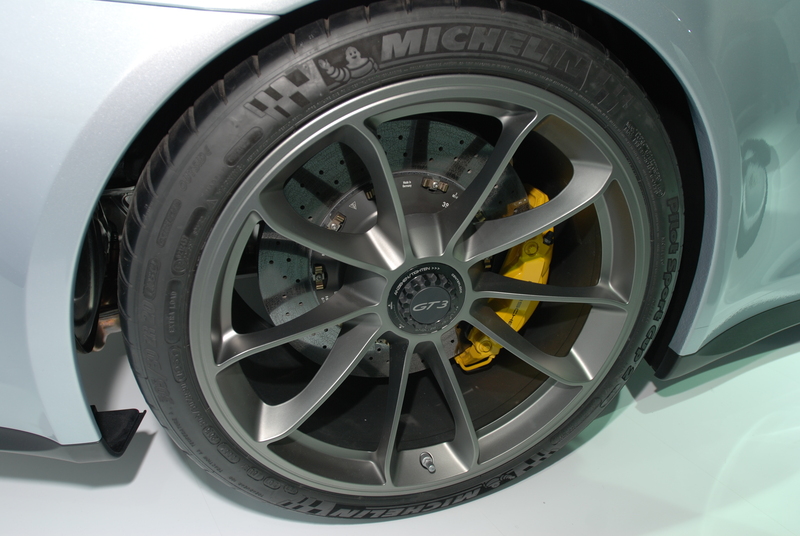 The 20 inch wheel / tire combination found on the 2014 GT3 definitely fills out the wheel wells, and are reportedly a key factor to the new models handling, over that of the previous GT3 model equipped with 19 inch wheels. 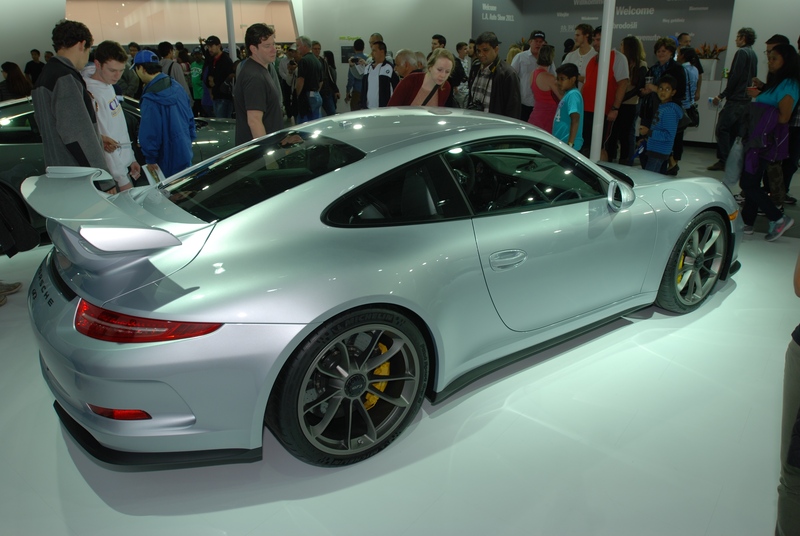 Another unique type 991 model on display, and parked immediately to the right of the GT3, was this 2014 50th Anniversary Edition as seen below, built to celebrate 50 years of Porsche 911 production and evolution. 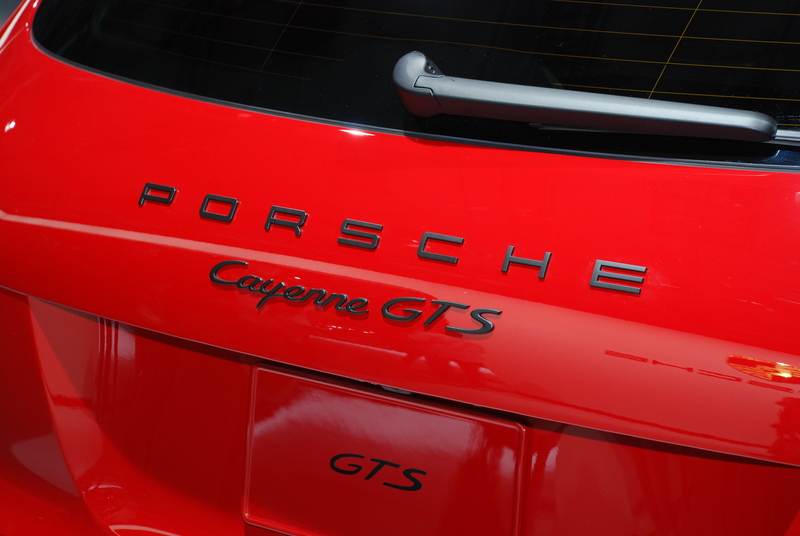 If you look closely, you can see several carry-over design details incorporated into this 50th anniversary edition model, borrowed from the earliest 911 models of the mid 1960’s. Two of the most obvious design details ( influences) can be seen in the new wheels, which appear to be a stylized variation on the original 5 spoke Fuchs alloy wheel. On the interior, the prominent visual detail is the use of a houndstooth patterned fabric for the front and rear seat inserts, similar in concept to how many of the original Porsche 911s had been delivered. 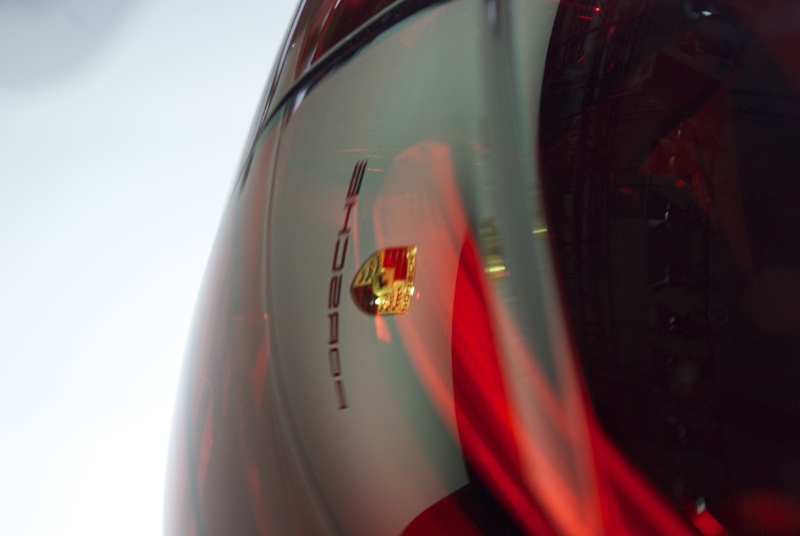 Granted two small design details, yet each carrying unique Porsche 911 DNA, forever linked to the early 911 models that made their debut 50 years ago. 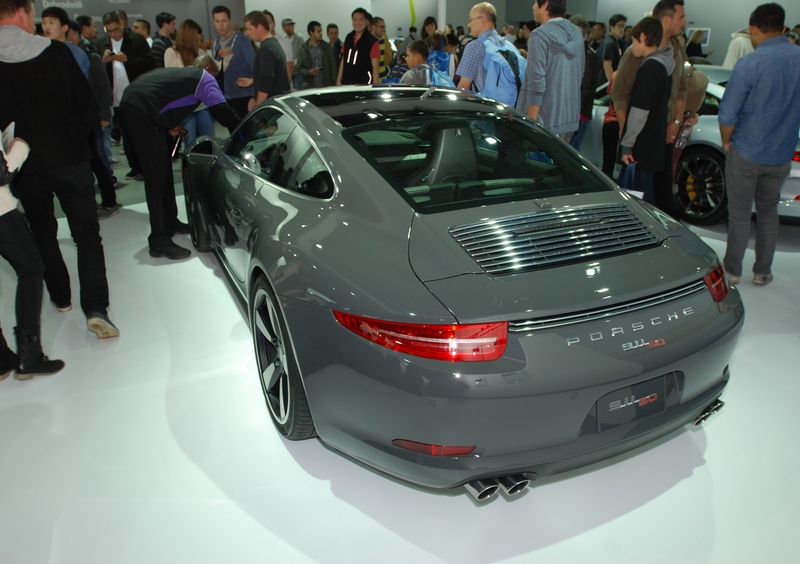 Out back, another visual cue taken directly from the original 911; the silver brushed metal trim making up the rear engine decklid grill (reinterpreted for 2014), along with the lower horizontal accent vent trim, positioned just below the rear decklid and between the rear tail lights. 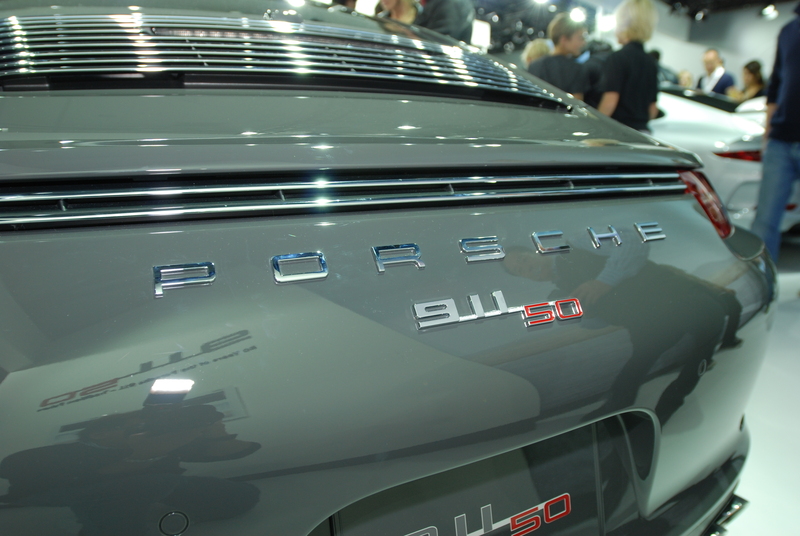 A look at the unique, 50th Anniversary Edition commemorative badging, celebrating the Porsche 911s production milestone. 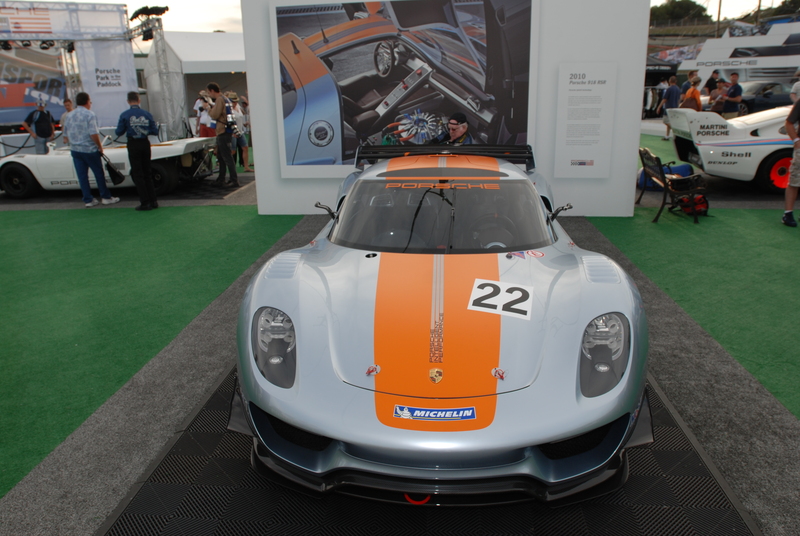 For comparison, below are several photos that I shot during Porsches Rennsport Reunion IV back in October 2011, of the 918 RSR concept car in development at the time. 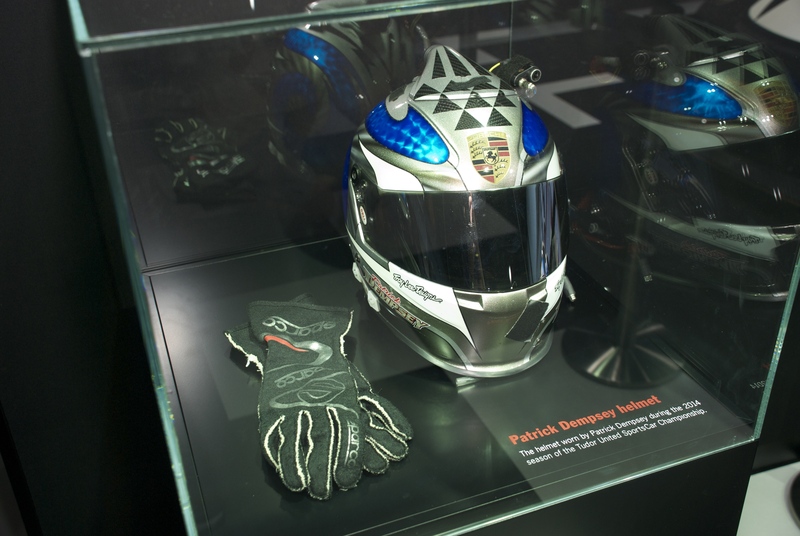 What is interesting to note are the design elements and styling cues seen in the 918 RSR concept that Porsche chose to keep, and other features that Porsche elected to redesign. 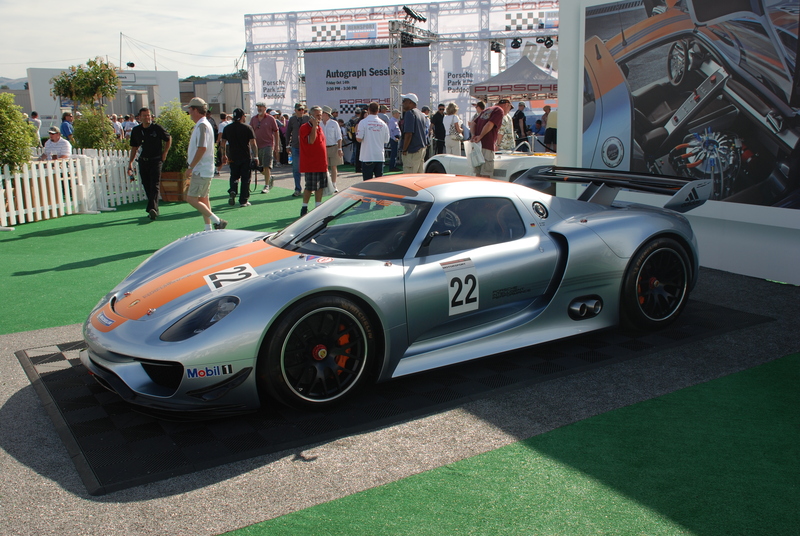 However, in typical Porsche fashion, the final iteration of the 918 Spyder displayed at the LA Auto Show still retained the genetics of the Porsche 918 RSR, yet had taken a substantial step towards the future by incorporating its race developed hybrid technology (an adaptation of its KERS / “kinetic energy recovery system”). 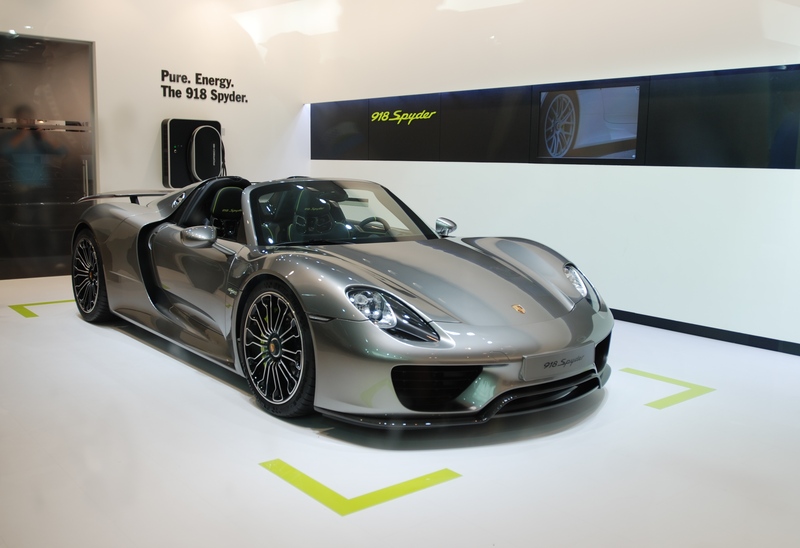 This set- up also included the addition of an electric drive motor to each front wheel, all integrated into its latest super car for the street. 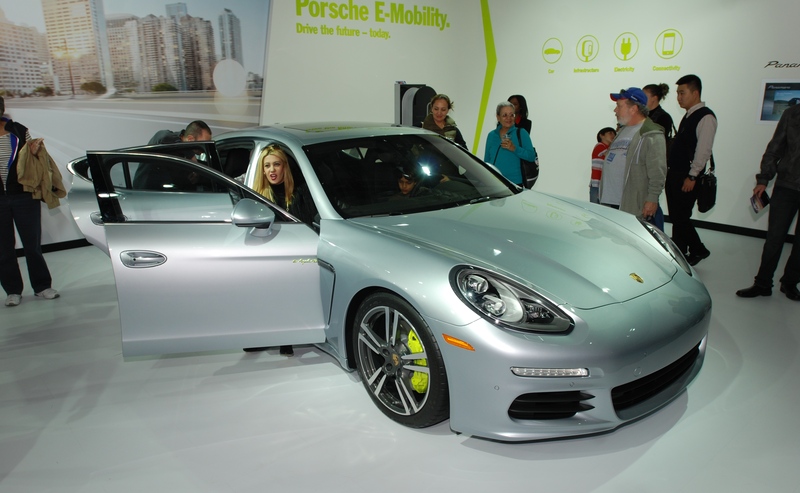 Representing yet another vehicle infused with Porsches hybrid technology, was the silver Panamera S E-Hybrid seen below; Porsches first luxury plug-in hybrid. 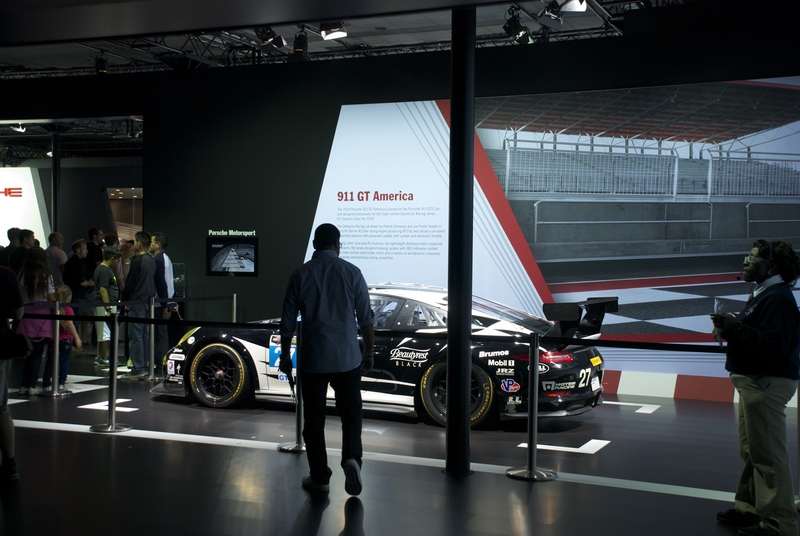 Externally, two visual clues that reveal the cars dual identity are the subtle hybrid badges found on the front doors, as well as the color coded, day – glow fluorescent green brake calipers. 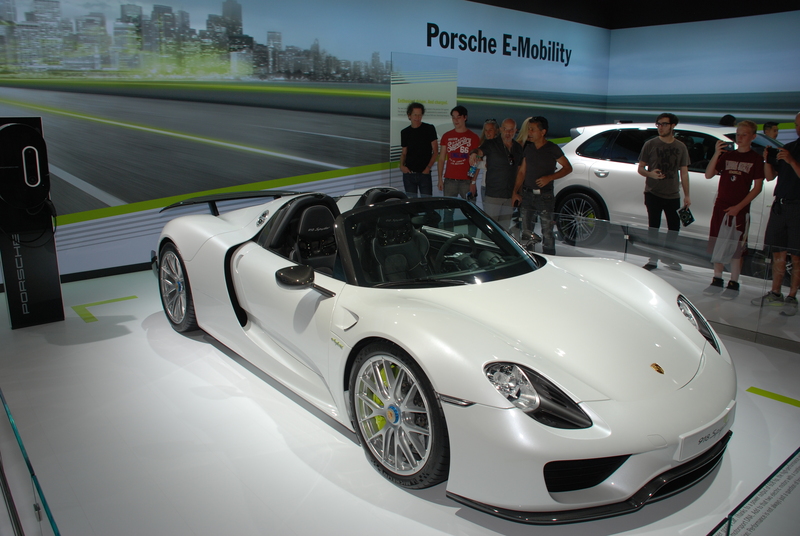 Porsche has adopted this fluorescent, day glow green color as an identification marker on their hybrid models. 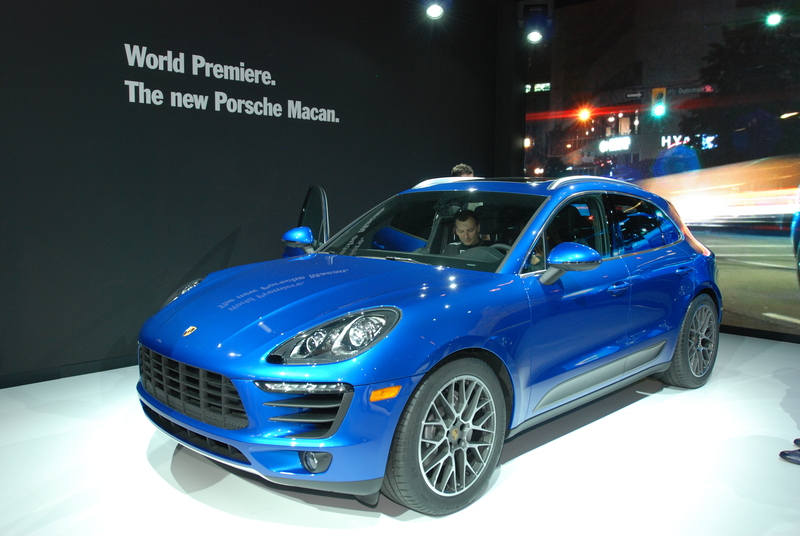 The last of the Porsche models making its debut at this years show was the brand new Macan. 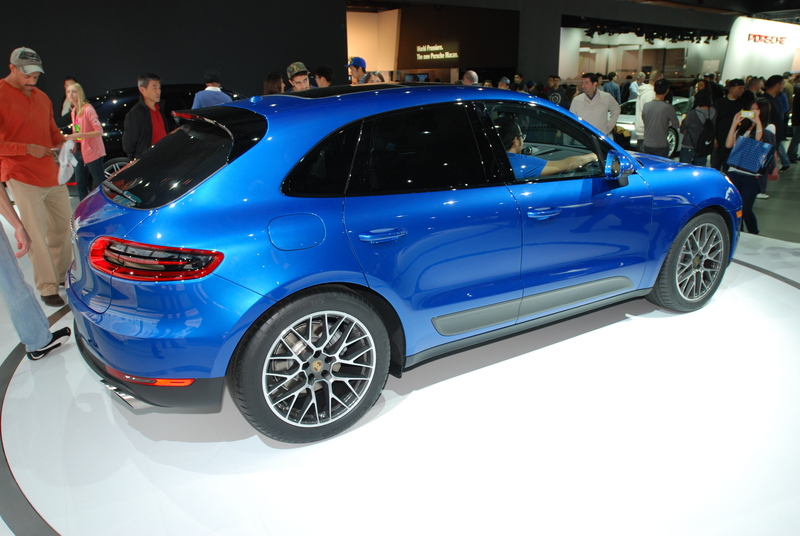 This new model represents Porsches venture into the smaller scaled SUV market, apparently designed to fill the void niche below its larger sibling, the Porsche Cayenne. 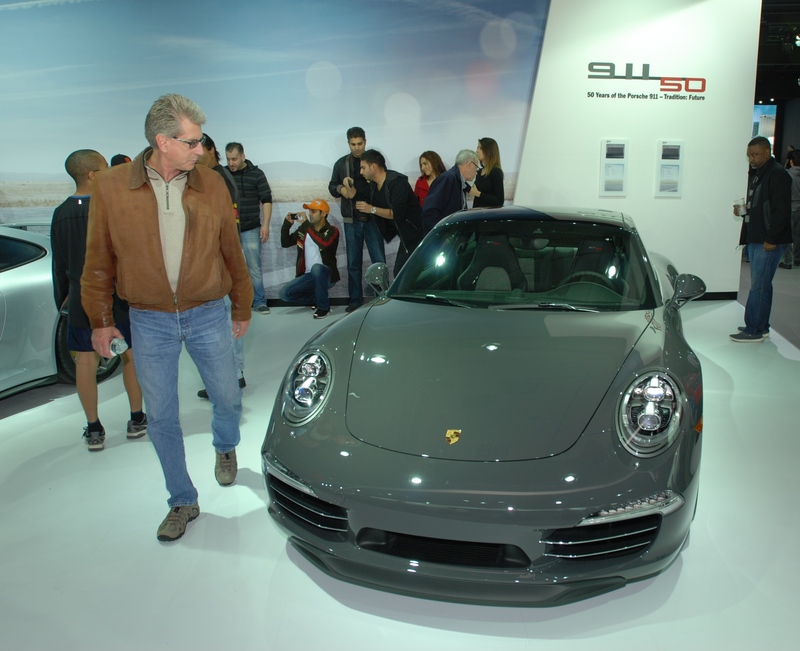 Given the size of the crowd around the Macan display, and the lines at each vehicle just to sit inside, I suspect that Porsche will have another hit on their hands. 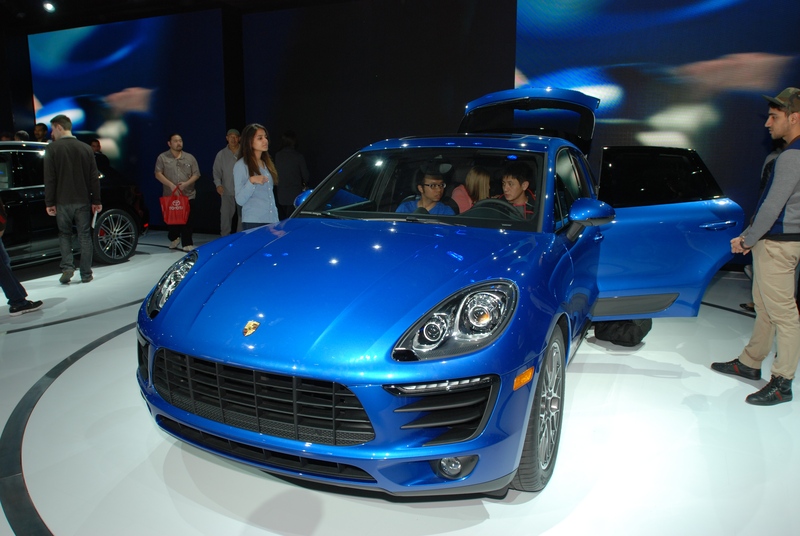 Based upon the younger demographic that I observed flocking to this vehicle, Porsche seems to have created a model that will appeal to the consumer who aspires to the Porsche brand, yet desire an SUV smaller than a Cayenne, while still retaining the looks of a Porsche.